Cosmic-muon radiography is a technology that has been developed to investigate the internal density of large structures, in particular geological targets. It relies on the high‐penetration power of muon particles, a component of the natural cosmic rays: the absorption rate of the muon flux can be used to derive the density length, i.e., the density integrated along the muon trajectories. Our group proposed to use the principles of this technique, with a detection system based on emulsion films, to the specific case of glacial environments. 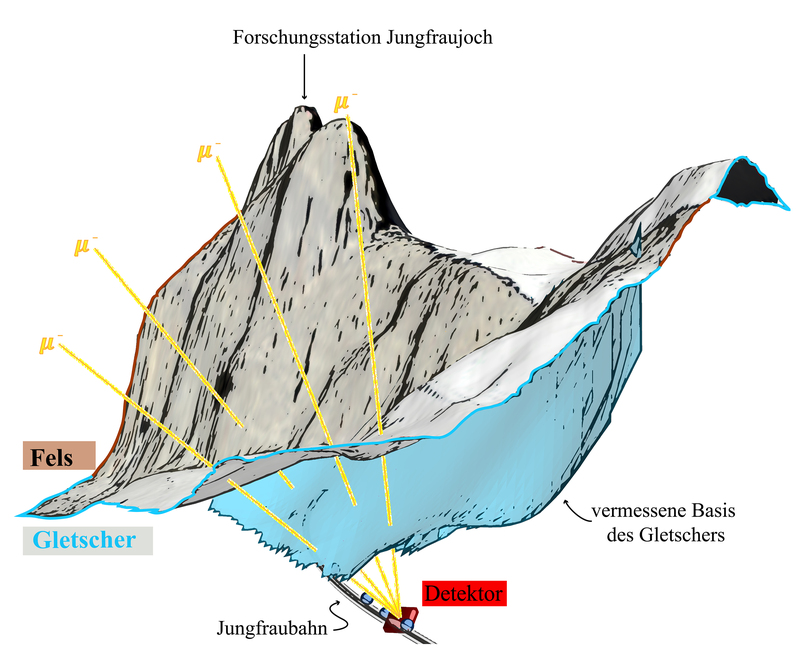 In particular, in collaboration with colleagues from the Institute of Geology of the University of Bern, we investigate the bedrock geometry beneath active glaciers in the steep alpine environment of the Jungfrau region in Switzerland.